This little octopus goes by the nickname of ‘the dumbo octopus’, because their fins could resemble the disney elephant. 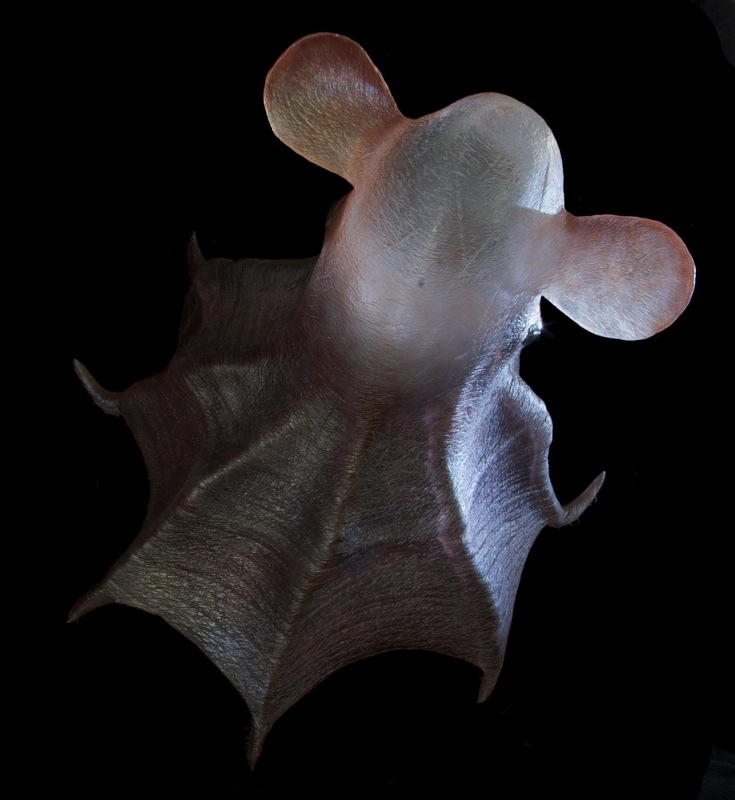 The genus of Grimpoteuthis consists of 13 species of deep-water umbrella octopuses, where the large specimen is 25 cm long, and its mantle is 5 cm long.Their first arm is 10 cm long, and each arm has between 65 and 68 suckers. Most species live at depths of 2000 to 4000 m below the ocean surface, and they only live 3 to 5 years. 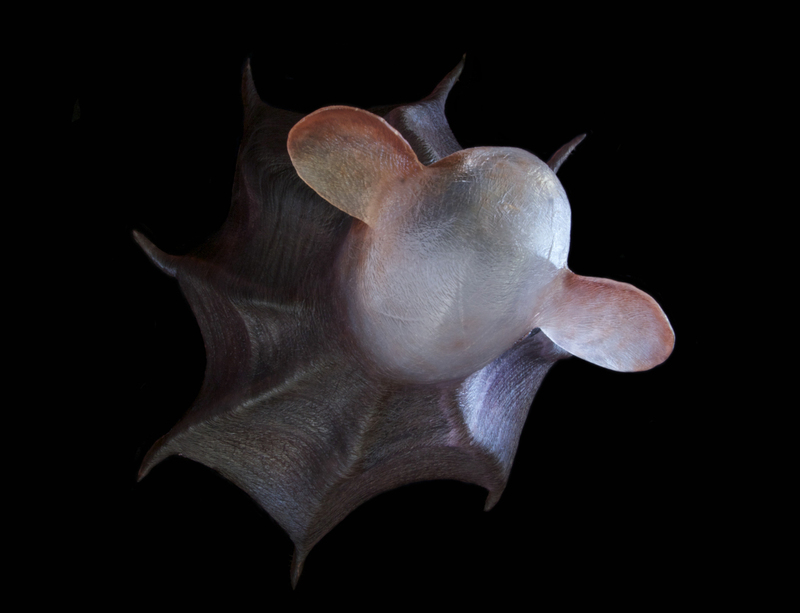 This particular species of Grimpoteuthis umballata is however not well known. A total of only three specimens were collected from different locations; the largest was found off the Azores, and the smaller two were found off Morocco. Of the three specimens, only two of these two is still extant, and it is in poor condition. The largest was found at a depth of 2,235 meters. 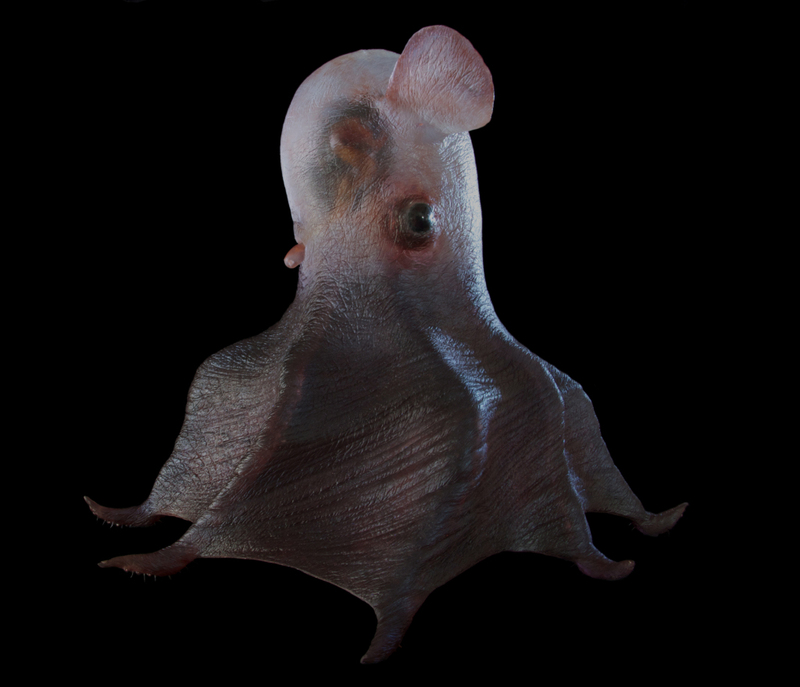 The poor number og specimens collected make this dumbo octopus one of the rarest of the Octopoda species.